Some years ago N gauge layouts lost their popularity and the range of rolling stock became limited. 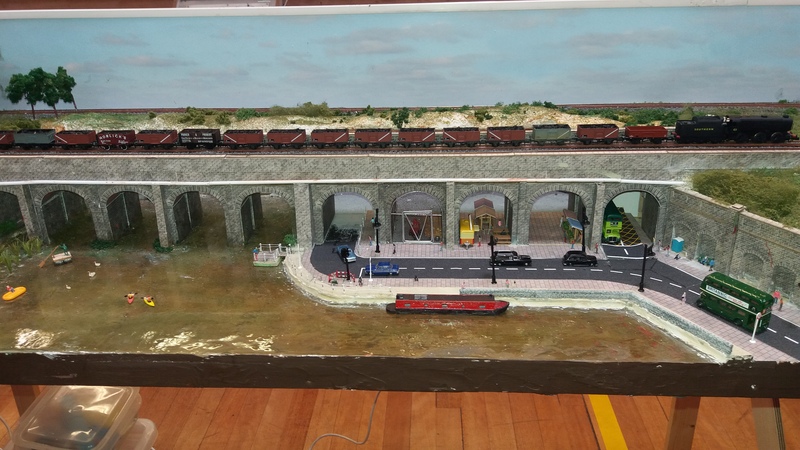 However, during the past few years it has regained popularity and more N gauge layouts are appearing at exhibitions. The range of locomotives and rolling stock now being supplied by Graham Farrish and Dapol is almost comparable to OO gauge products. Brockhampton is a layout nearing completion. 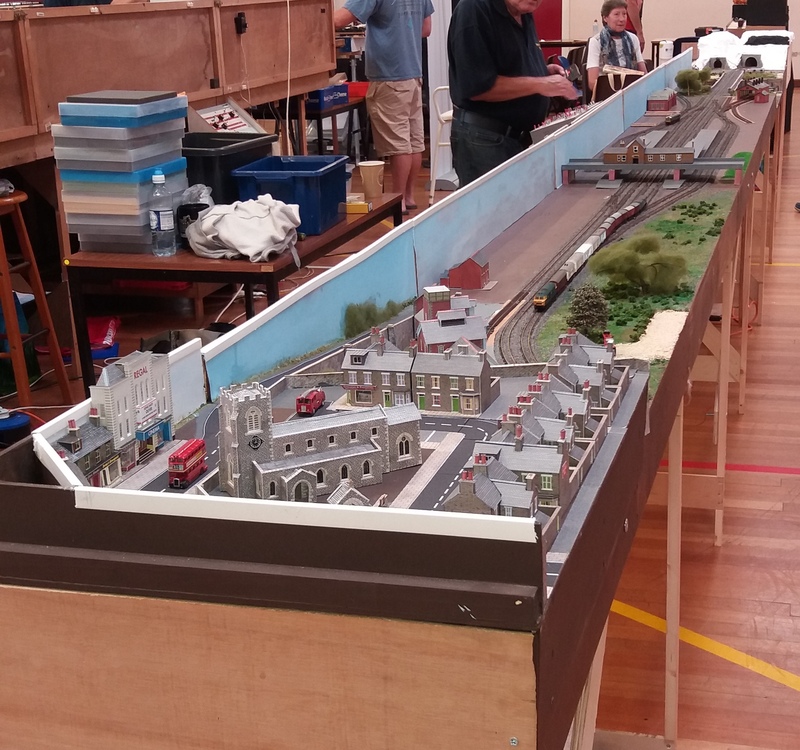 The layout has been under construction for four years by a group of N gauge enthusiasts in the club and made its first appearance at the NFMRS November 2014 open day. At that time the track had been laid, but there was no central controller or even point motors. How things have moved on. Brockhampton is being constructed by club members on Tuesday evenings and stays at Brockenhurst Village Hall. Members wanted to build an N gauge layout that could accommodate full length trains: 12 coaches or dozens of goods wagons. No particular period of operation that will be represented as members want to run their own different stock which may be steam or modern traction. It's being wired for analogue control, although there will be consideration for a change to DCC later. The layout is made up of six boards each 4' x 2'. When fully assembled into a 24' long layout, the continuous double main line track at the front display area of the layout will represent a scale length of about 2/3 of one mile. ...a small town scene over a tunnel. Those that visited our November 2018 Open Day may remember the thunder and lightning in the clouds: this caused much amusement. A station is being finalised together with a brewery. The opposite end of the layout features a grassy moor over the track.